Represent the U.S. Navy while at the alley by getting this ball today! Whether you're a beginner or a pro, you can add this ball to your arsenal and do some damage to those pins! DO YOU HAVE ANY NAVY SEABEES BOWLING BALLS? 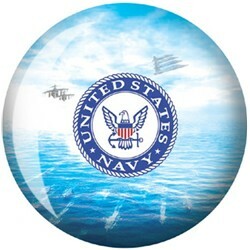 Unfortunately this was the only Navy bowling ball we have available. The company that custom makes this ball may be able to make a ball like this for you and you may check with that company at www.ontheballbowling.com. Do you currently have this ball in stock? Yes, this ball is currently in stock. 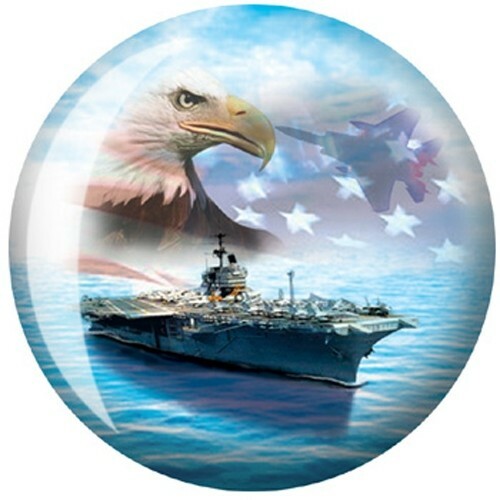 Due to the time it takes to produce the OnTheBallBowling U.S. Military Navy ball it will ship in 1-2 weeks. We cannot ship this ball outside the United States.